This is the home in Horseshoe Beach ! Beautiful 1,800+/- sf home in the middle of Horseshoe. Two bedrooms plus a master suite with fireplace, kitchen with a large pantry, laundry room, storage and workroom. 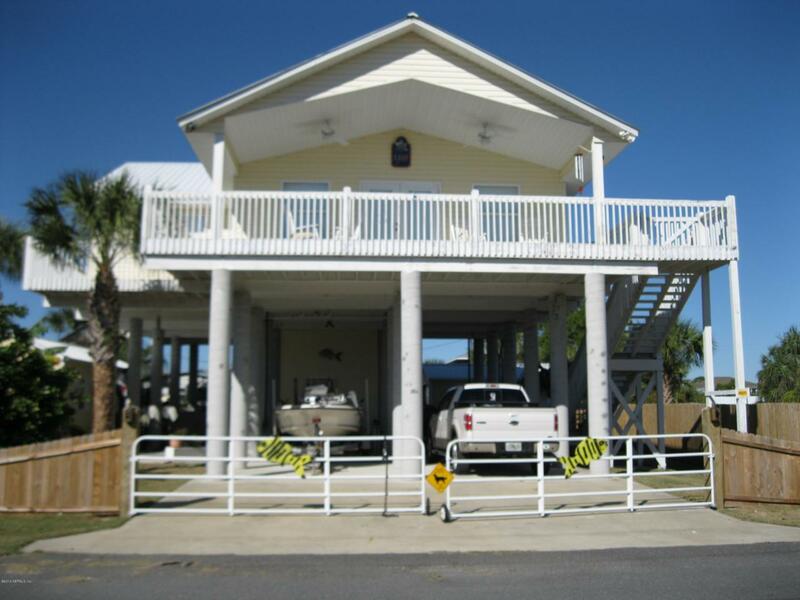 A stone's throw from the water with a 3rd story crows nest that overlooks the gulf. A wrap around porch with ample seating, a cargo elevator,a bonus room addition, a downstairs work shed/ fish hut with a half bath, ample fenced in land for boats, trucks and golf carts make this the most attractive property in the entire area. Great place to build family memories with fishing, boating, kayaking and recreation.